B Corps are for-profit companies certified by the nonprofit B Lab to meet rigorous standards of social and environmental performance, accountability, and transparency. These companies are working to redefine success in business. B Local PDX has many of resources to help you on the journey to completing certification. The best ways to stay up to date with B Local PDX news & events are to join our email newsletter list and follow our Facebook page. 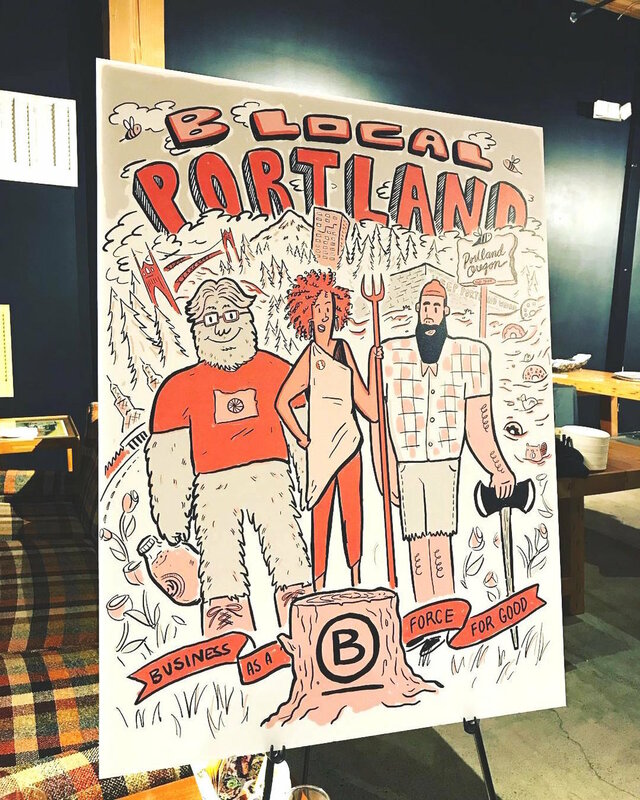 The B Local PDX board plans a variety of events throughout the year, most of which are open to both current Certified B Corps, B Corp enthusiasts and aspiring B Corp companies. Do you have a passion for B Corp and a skill to share? We'd love to have you involved with one of our B Local PDX groups working on specific topics. Email blocalpdx@gmail.com if you're interested in volunteering in the following areas, or if you have ideas for other ways to contribute! The B Hive is B lab's hub for employees of Certified B Corps to have discussions on various topics, share knowledge, locate resources, and find discounts from other B Corps. Do you know of a company that you think should be a B Corp? Our B Local PDX team can offer resources and support to prospective B Corps. Visit our Become a B Corp page or email us at blocalpdx@gmail.com to nominate a company we should reach out to!